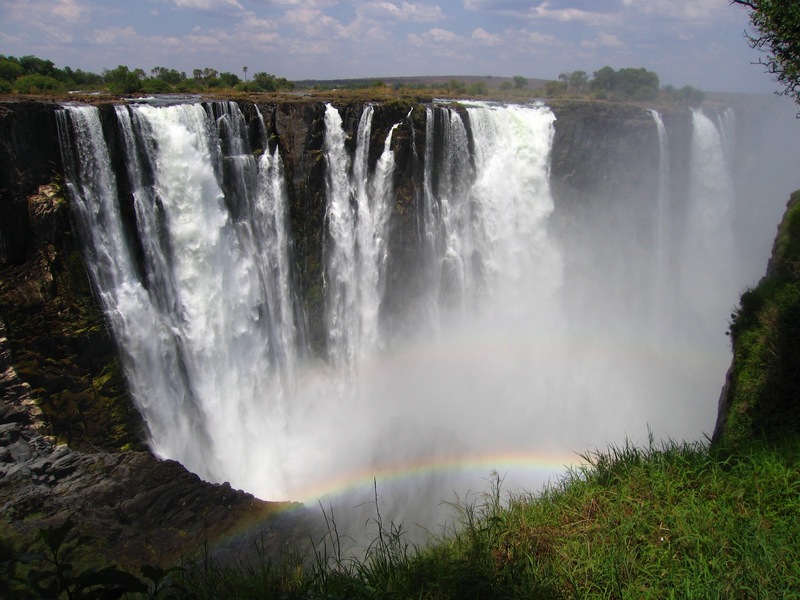 Victoria Falls, or Mosi-oa-Tunya is a waterfall in southern Africa on the Zambezi River at the border of Zambia and Zimbabwe. CNN has been described as one of the Seven Natural Wonders of the world. The Victoria Falls also known as “The Smoke That Thunders” continues in common usage as well. 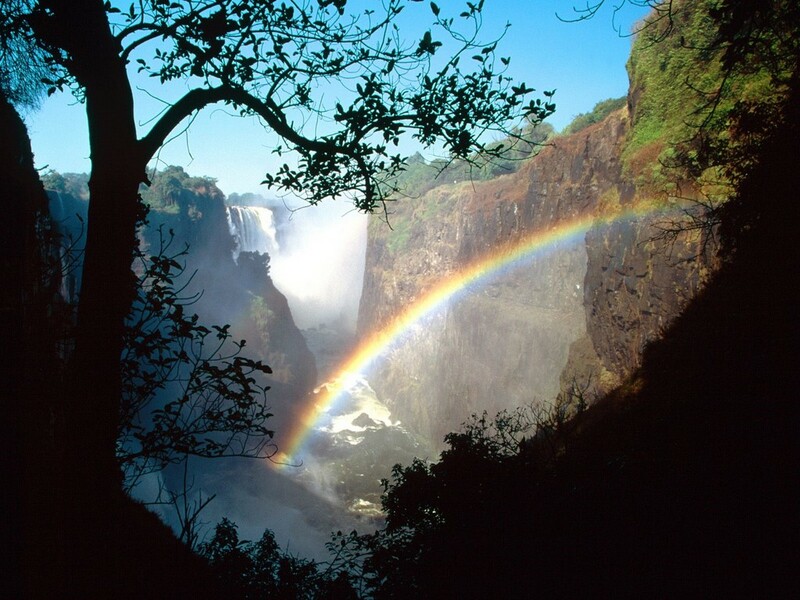 The World Heritage List officially recognizes both names. The legendary waterfall is among the most impressive & awe-inspiring to be found anywhere on the planet earth. 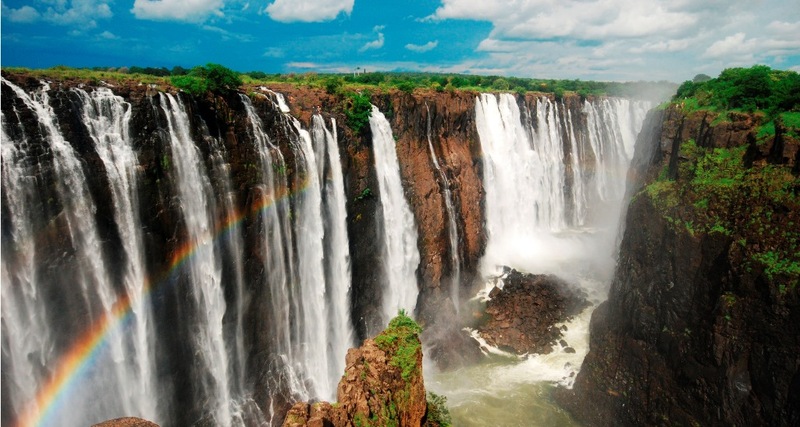 David Livingstone, the Scottish missionary and explorer, is believed to have been the first European to view Victoria Falls on 16 November 1855, named his discovery in honor of Queen Victoria of Britain. 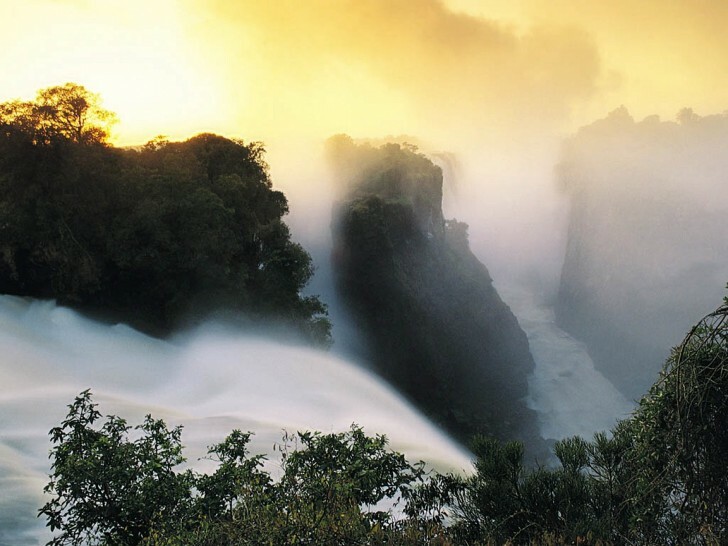 The Victoria Falls generates mists sustain a rain forest-like ecosystem nearby the falls and on the opposite cliff that faces them like a dried-up mirror image, thick with mahogany, fig, palm, and other species of vegetation. The whole volume of the Zambezi River pours through the as much as six Gorge's zigzagging series of gorges designated by the order in which the river reaches them. Moreover, the geological history of Victoria Falls can be seen in the form of the gorges below the falls. The basalt plateau over which the Upper Zambezi flows has several large cracks filled with weaker sandstone. 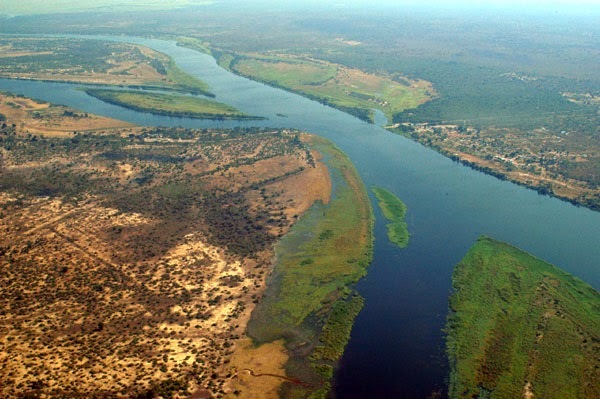 In the area of the present fall the largest cracks run unevenly east to west, with smaller north-south cracks connecting them. 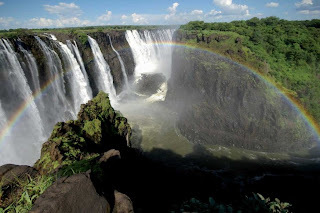 Thus, more than 100,000 years, the falls have been receding upstream through the Batoka Gorges, eroding the sandstone-filled cracks to form the gorges. 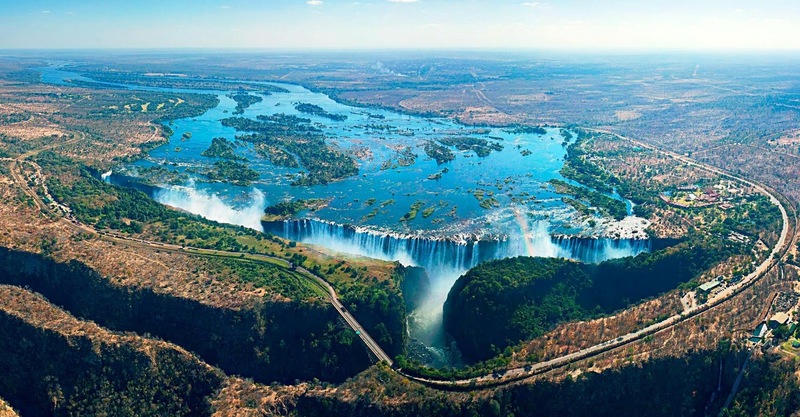 The Zambezi River is more than 2 km wide when it cascades over the lip of a large basalt plateau and plunges as much as 354 feet. 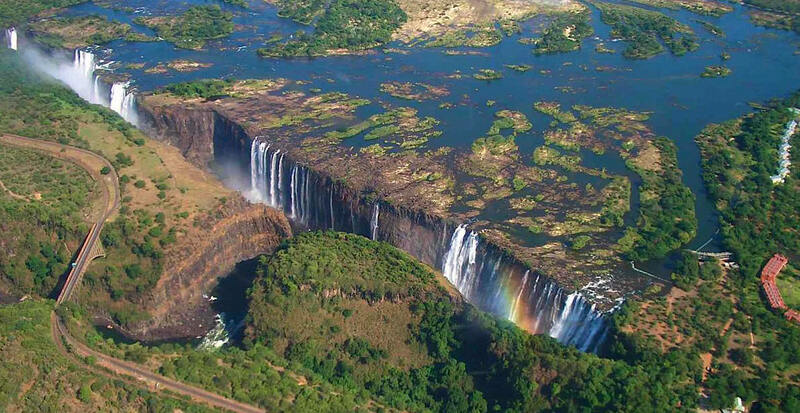 The flow has been slicing gradually through this plateau for some two million years. 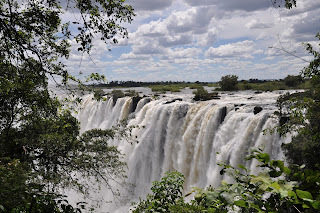 During this time the river has slowly retreated and the leftovers of earlier, ancient falls can be seen in the gorges downstream from the current cataract. 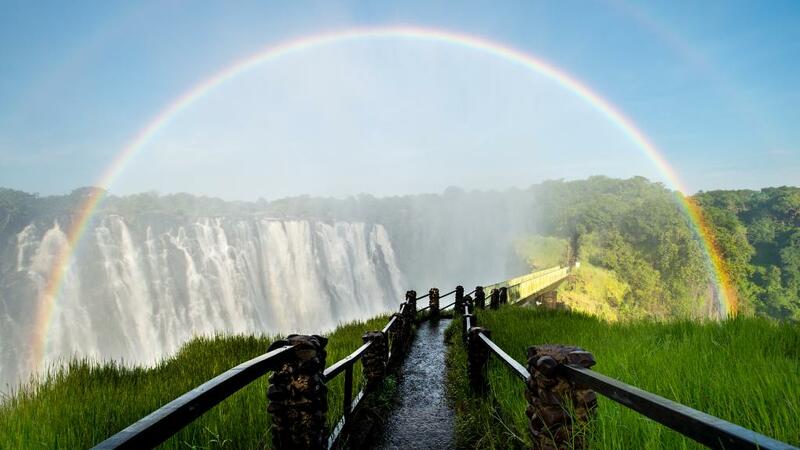 These days more than a few hundred thousand visitors from around the world trek to the falls each year; numerous hotels, restaurants, campgrounds, and other tourist businesses cater to them. 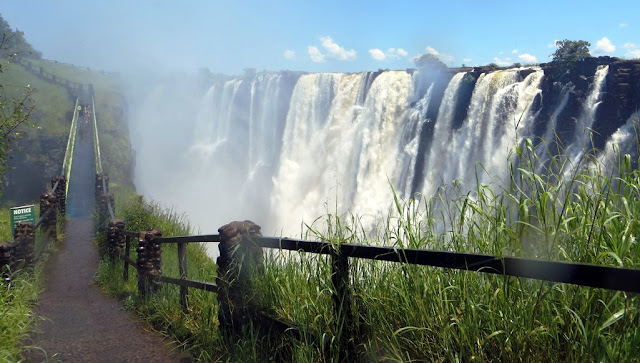 The natural beauty of the falls lies in their natural state, but the area is at some risk of runaway tourism-based development as increasing resorts, hotels, and even a possible dam below the falls that could flood several park gorges. 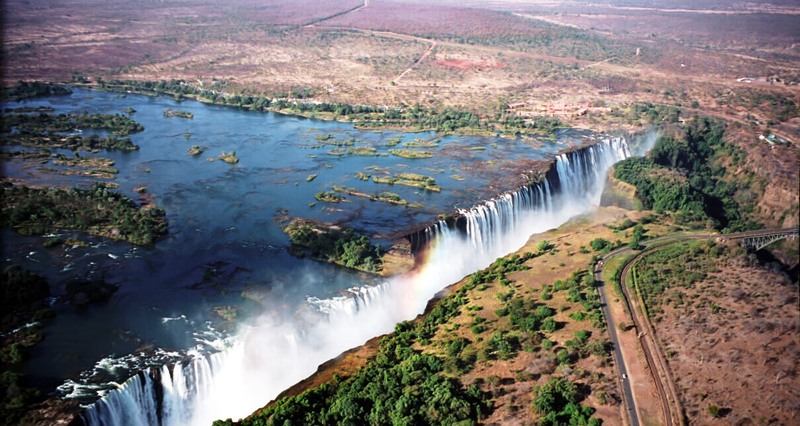 Moreover, operators in the area offer everything from helicopter overflights to bungee jumping, and the management of these activities while preserving a quality visitor experience for all is an ongoing challenge. Most visitors visit from either Victoria Falls (Zimbabwe) or Maramba (Zambia), where complete tourist facilities exist. Each town is accessible by road, rail, and air. It is recommended to visit the area in February and March, when the river is typically in full flood. 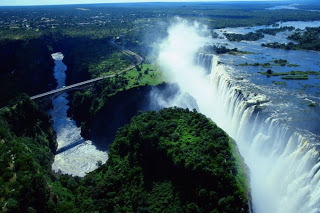 In that period as much as 540 million cubic meters of water fall over the edge every single minute. Moreover in the rainy season, the spray plume can obscure the view of the falls themselves. 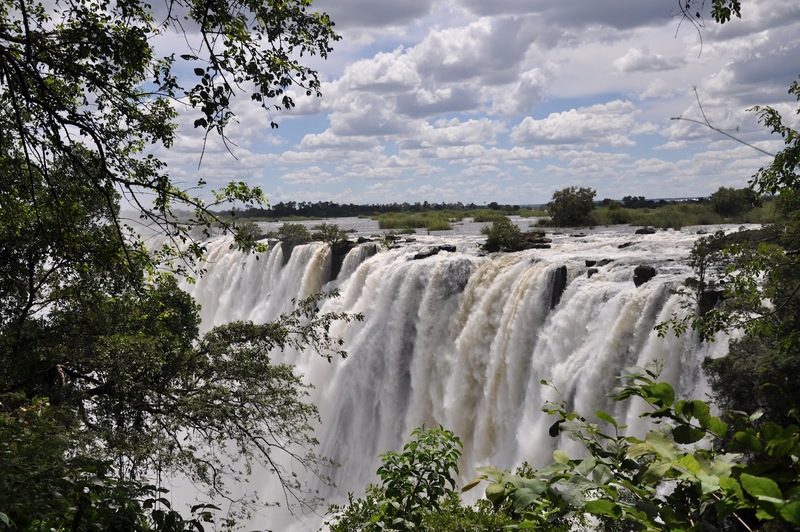 However at the end of November, when the water is at low ebb, visitors may see the curtain split into many smaller channels of falling water. 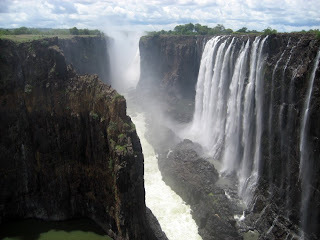 The incredible falls are massive and invite contemplation from various different viewpoints. The trails offer you to walk around the area and relish vistas. 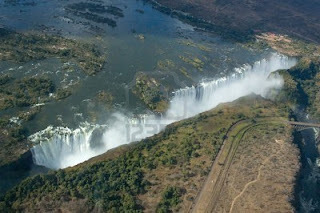 Moreover, rare views are also to be had from the Knife Edge Bridge and Victoria Falls Bridge. 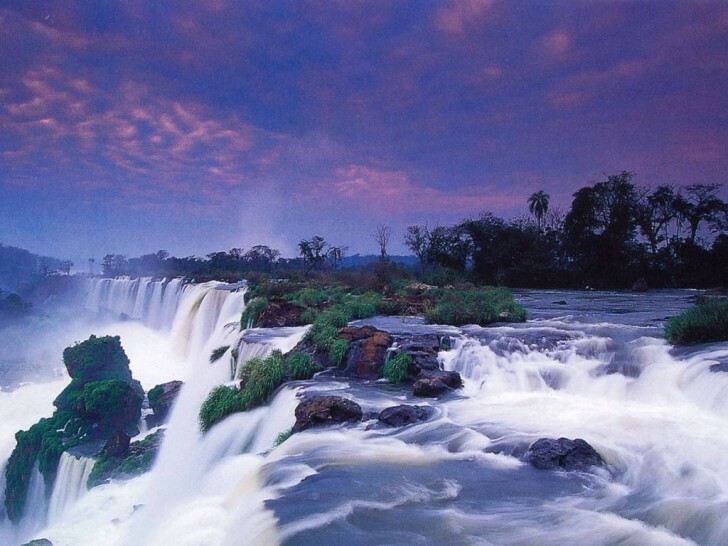 Thus, River-level views from below the falls are a good way to experience their power up-close. At certain times of the year the daring may even swim in pools on the very crest of the cataract. Victoria Falls has more Zimbabwean and Zambian visitors than international tourists; the attraction is accessible by bus and train, and is therefore comparatively inexpensive to reach. 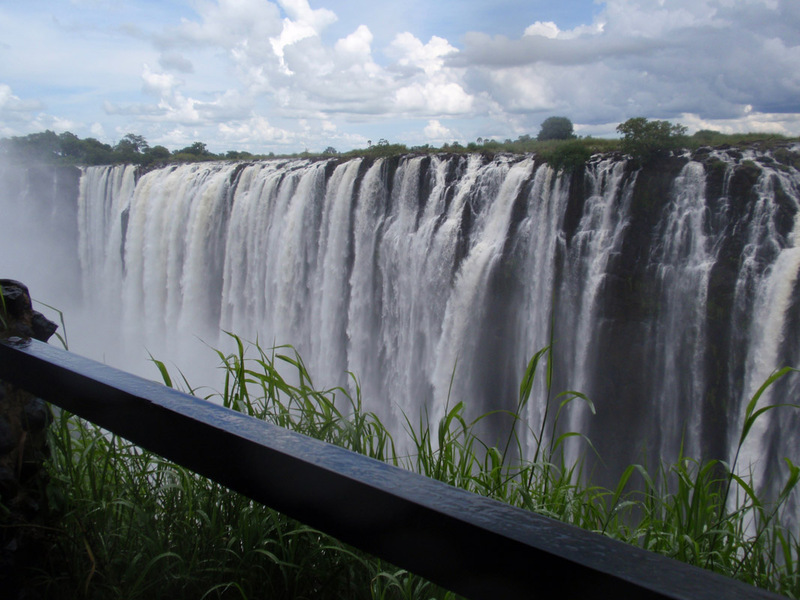 Both countries permit tourists to make day trips across the border to view the falls from both viewpoints. 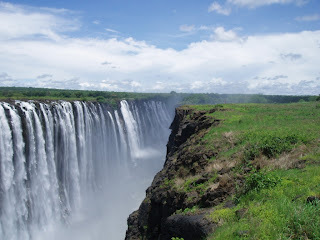 A famous feature is the naturally formed "Armchair" also called "Devil's Pool", near the edge of the falls on Livingstone Island on the Zambian side. 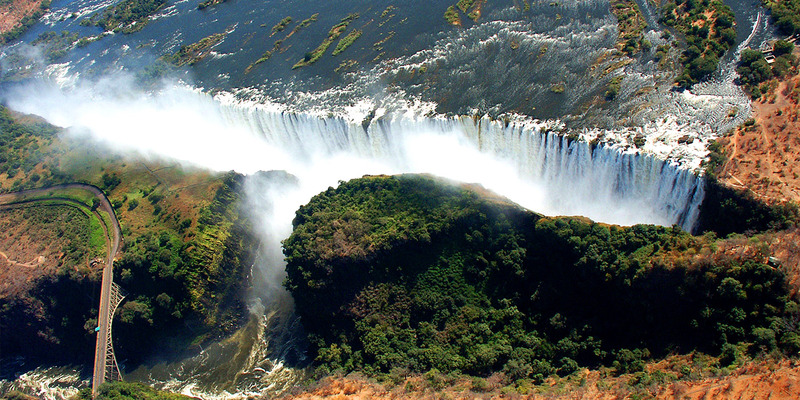 There’s only one place on the earth where the corners of four countries come together. 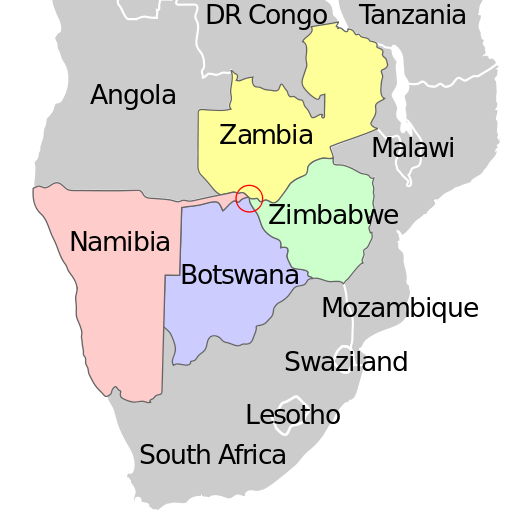 However you’ve heard about number of instances where the borders of 2 or 3 nations touched, but the distinct territories are very rare confluence of a 4 nations coming together on one spot only exists in Africa where the corners of Zambia, Zimbabwe, Botswana, and Namibia meet. It may not have been used before 1964 when it was perhaps invented by the Office of the Geographer of the United States Department of State. It is a popular tourist spots where states come together which are usually decked out with monuments and bronze medallions, the African quadripoint sits in the middle of a river that cuts between the countries. It has been theorized that the point is not a true quadripoint but instead a pair of tri-points separated by thin strips of real estate. Irrespective of the quibbling, the understandable jurisdictional headache of having four countries so close to one another has resulted in some conflict. 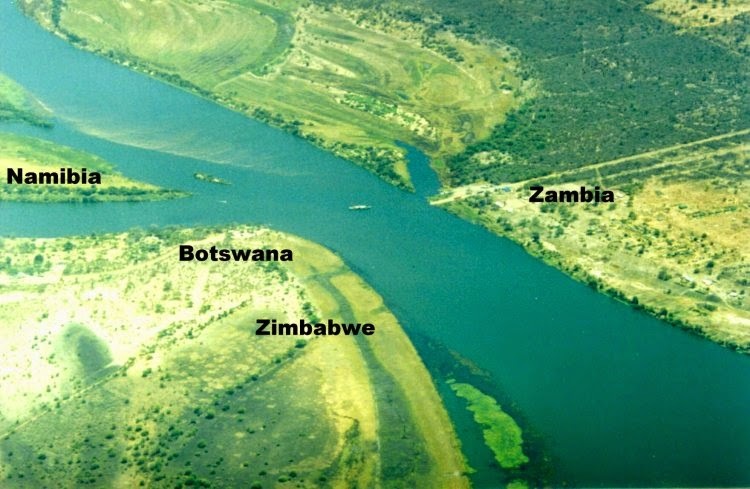 Moreover at one point the ferry that carried individuals across the river from Namibia to Botswana became a point of contention, with both countries laying claim to the transport. A little amount of fighting broke out but it was rather subdued for an international incident. 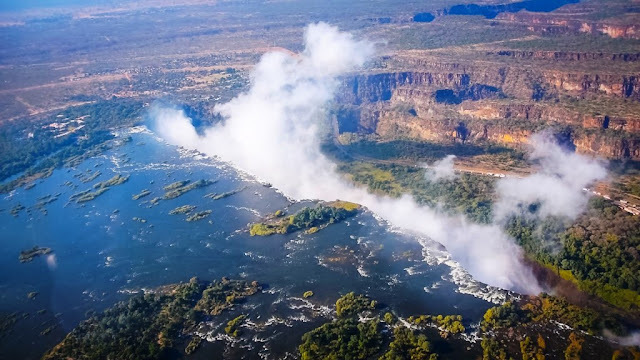 Though numerous maintain that slight changes in the flow of the Zambezi river and the exact geographical borders have eliminated an actual quadripoint, the countries are all so close that the only difference is academic. If you visit the border at any time you will find hundreds of trucks lined up to cross on the ferry. It can take days and even weeks for some truckers to get between the borders because of the backlog. 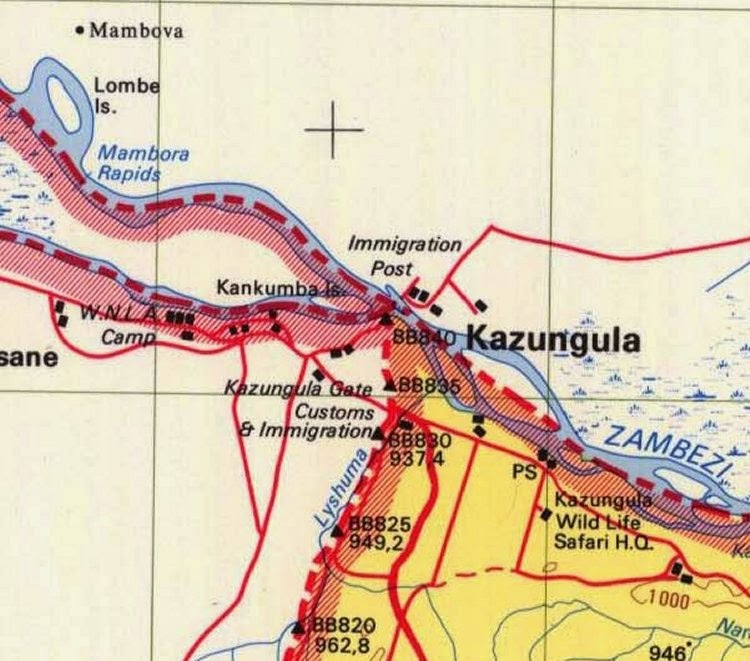 The best way to experience the Kazungula is to cross on foot, in which case you can skip the queue of trucks and jump on the ferry relatively quickly. 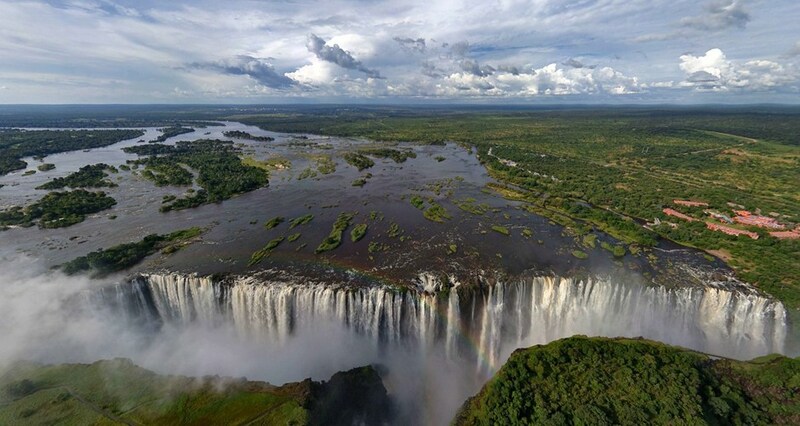 Well, Kazungula is in general a lovely place where you can go to relish the scenery and at the very least, contemplate the feeling of being surrounded by four different countries (almost).